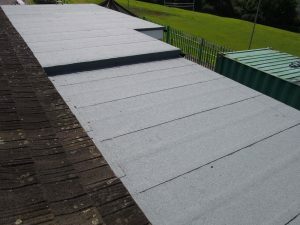 Two high tensile under layer felt nailed down to the decking or ventilating sheet on concrete, then all seams and edges are bonded together with bitumen. Second layer – high tensile under layer felt is bonded to the nail layer with hot bitumen. 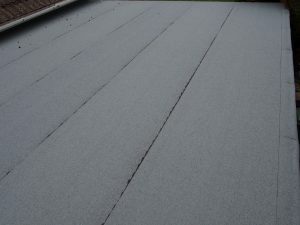 Top layer – high tensile mineral felt or chipping finish, it comes in a few colours. This layer is also bonded down with bitumen. This type of system has a guarantee of 15 years, with an estimate life expectancy of 25 years. We lay this system in a tried and tested traditional manner. 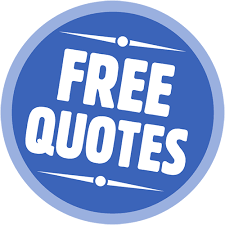 Send us a roof plan online today for a FREE no obligation quote.